TownePlace Suites by Marriott is top-notch among all-suite extended-stay hotels in Albany, NY located minutes from University at Albany (SUNY), Albany International Airport, the Albany Tech Valley and Albany Nano College, home of Sematech, IBM, CNSE, Tokyo Electron, Intel and many more. Enjoy a refreshing stay at our Albany hotel, now featuring an invigorating color scheme, new modern furniture, 32 inch HD televisions and much more. We are also excited to now offer a new Japanese-language channel, "TV Japan." Savor our complimentary deluxe continental breakfast, served daily, or home-cooked meals in your own fully equipped kitchen. 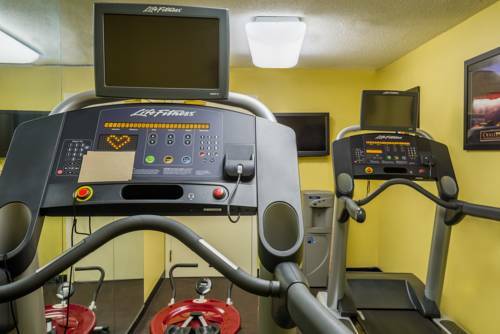 Stay connected with complimentary wireless high-speed Internet access and experience the convenience of an on-site pool, fitness center and 24-hr In-A-Pinch market. The Albany TownePlace Suites has perfected the extended-stay experience by combining all the comforts of home with a passion for making every guest feel welcome.